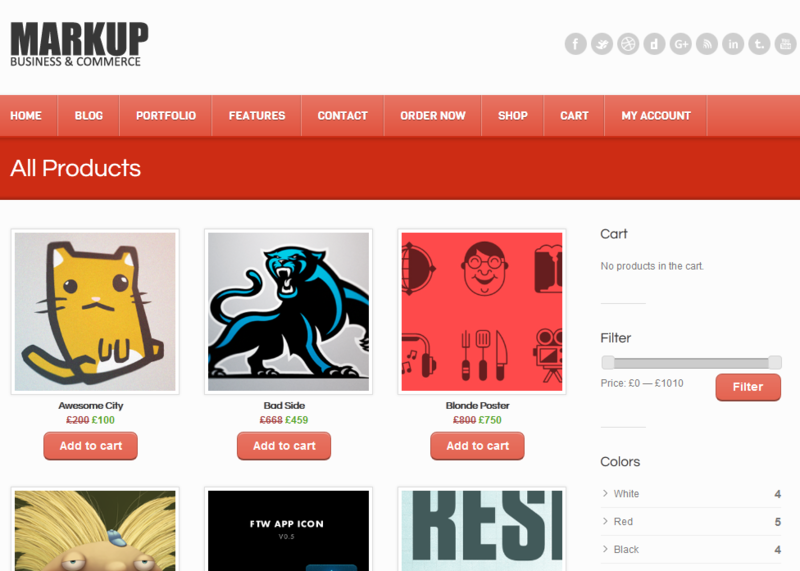 April 29th in Shopping Cart Themes by Wordpress Jedi . 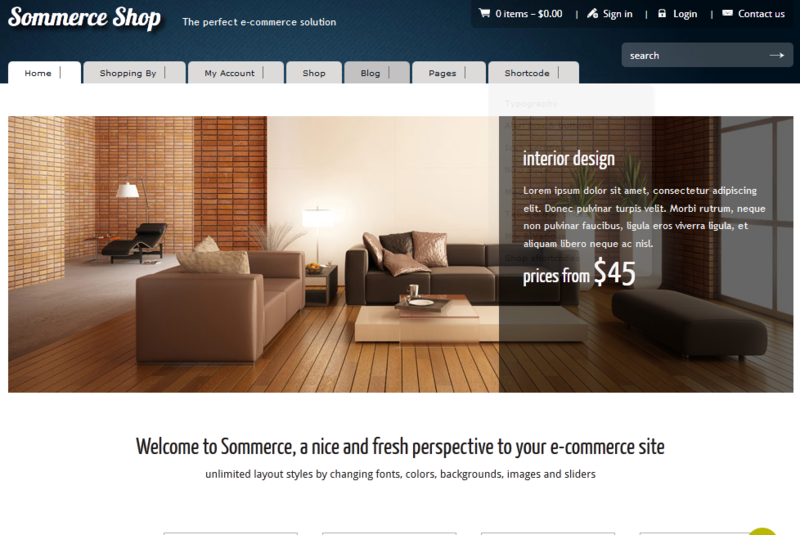 Sommerce: a very versatile e-commerce theme for WordPress. It is compatible with JigoShop and WooCommerce. It offers unlimited colors and 60 custom backgrounds. Abundance: has 16 skins with unlimited variations. You get 5 different slideshows too. The drag & drop layout builder makes your job a whole lot easier. 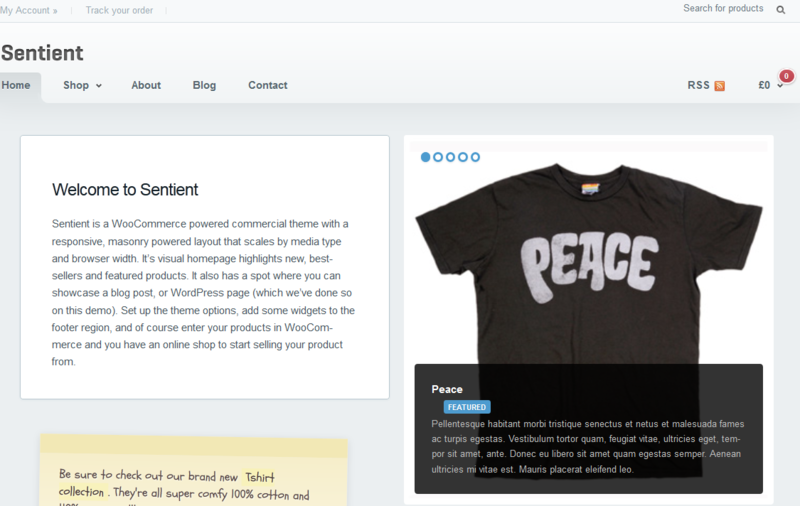 Sentinent: this theme is designed specifically for WooCommerce. It has a responsive design and uses jQuery Masonry. It is highly customizable too. 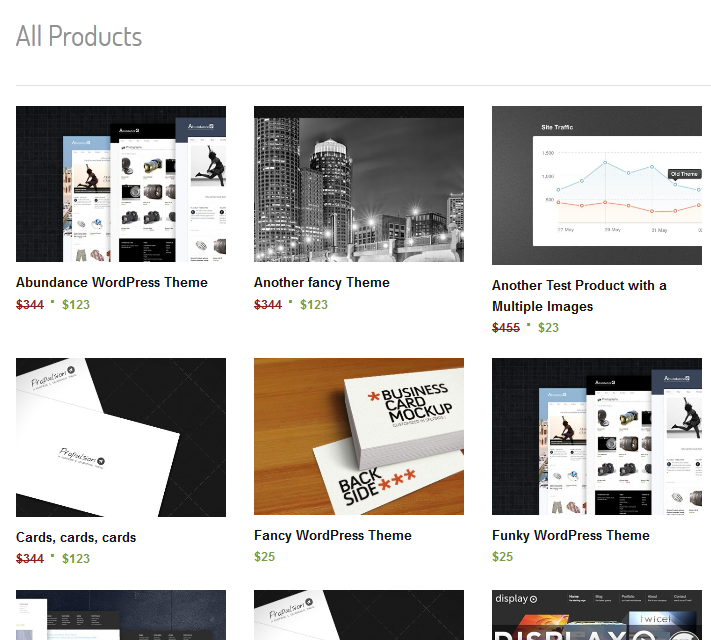 Propulsion: this theme is build on top of the WooCommerce plugin. It offers 3 different responsive slideshows. You get 21 skins and a number of useful custom widgets. 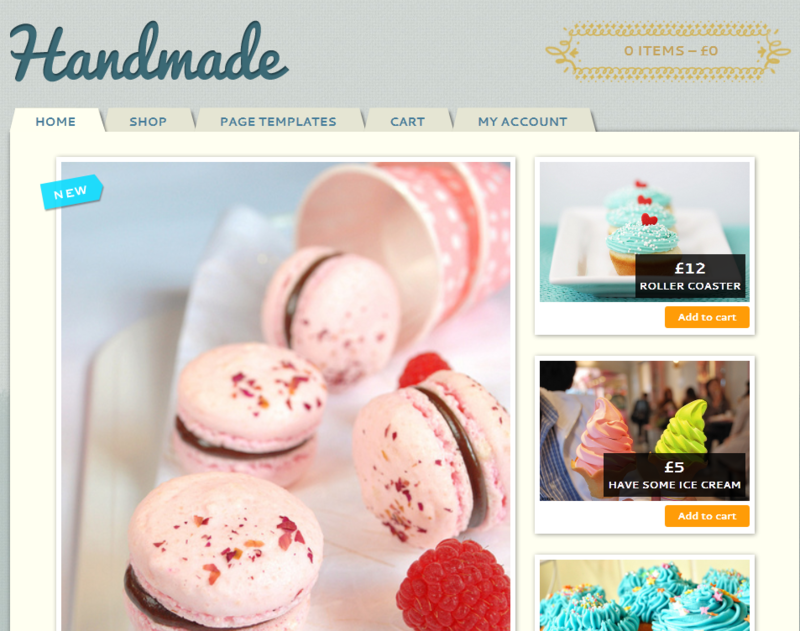 Handmade: a pretty elegant theme for the WooCommerce plugin. It is great for arts and crafts sites. It is social media friendly too. Shelflife: gives you the chance to promote your products effectively on your site. It has a fully responsive design. You get multiple custom widgets and styling options. WP Sharp: a business and portfolio theme for WordPress. It has unlimited backgrounds, three different layouts, and advanced SEO options. 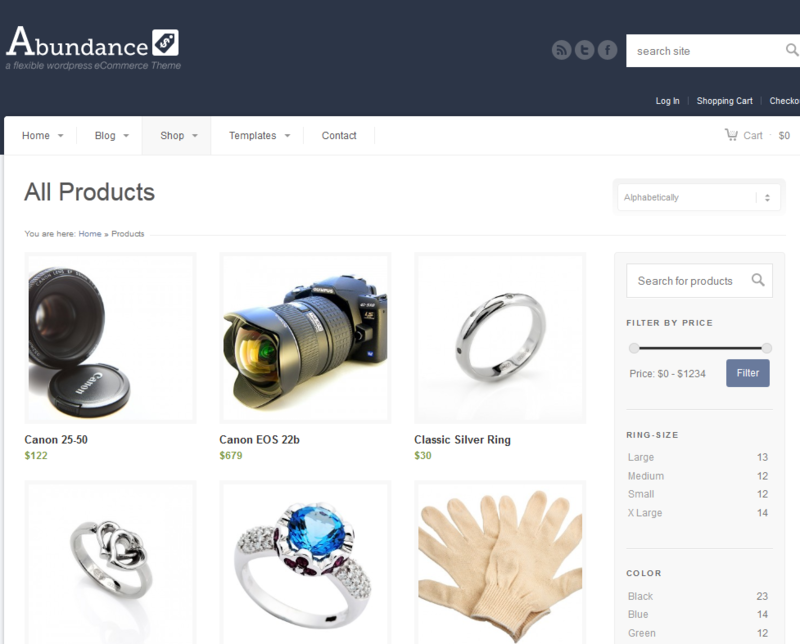 Markup Business: this is a multi-purpose theme with WooCommerce integrated. You get 70+ custom shortcodes, 4 custom widgets, and 8 default skins. 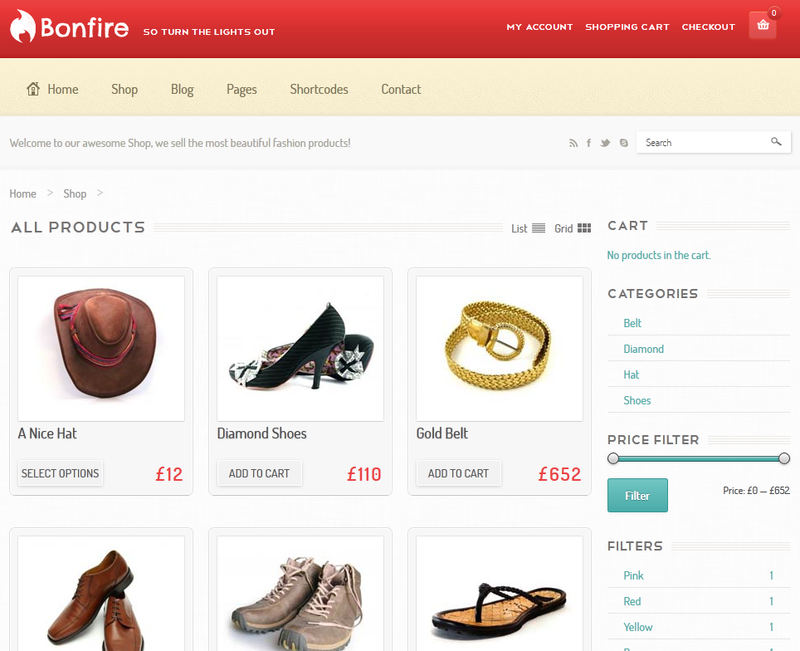 Bonfire for WordPress: Bonfire is a modern e-commerce theme with 6 different skins and an elegant design. It has beautiful detail pages for products. 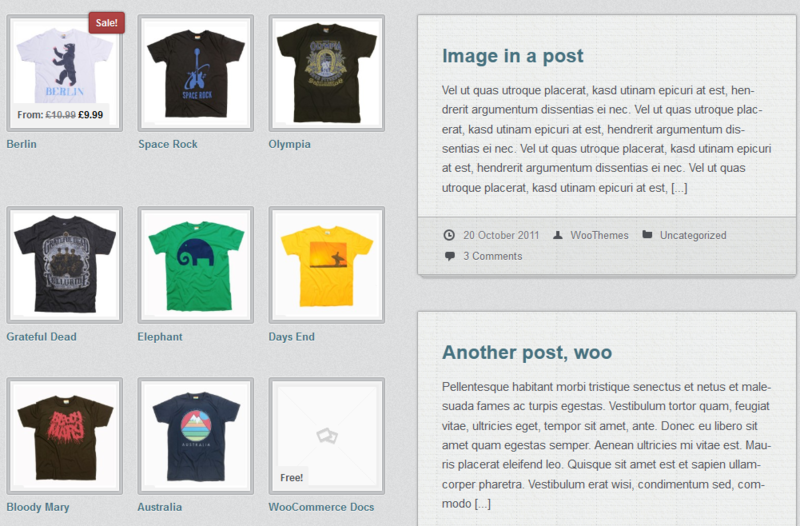 Sliding: this is a simple and clean theme for WooCommerce. 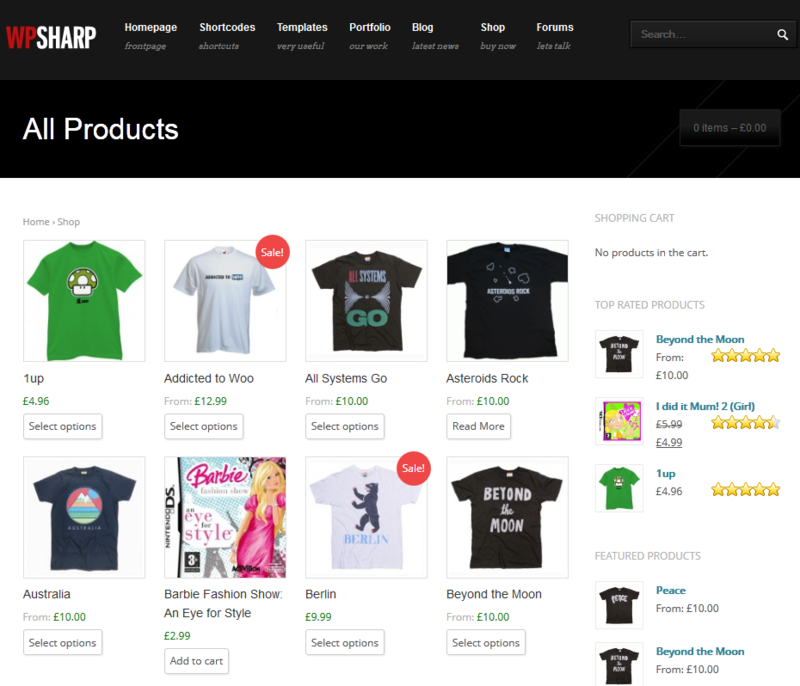 The homepage looks beautiful and has 3 product showcase areas. It has a unique sale template too. 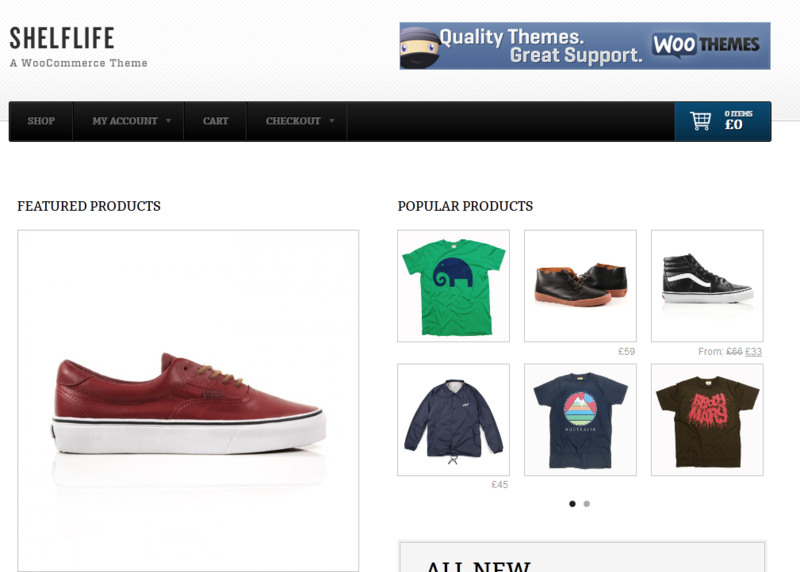 Emporium for WooCommerce: Emporium has a customizable homepage with a responsive design and two custom shortocdes. It has several color schemes. 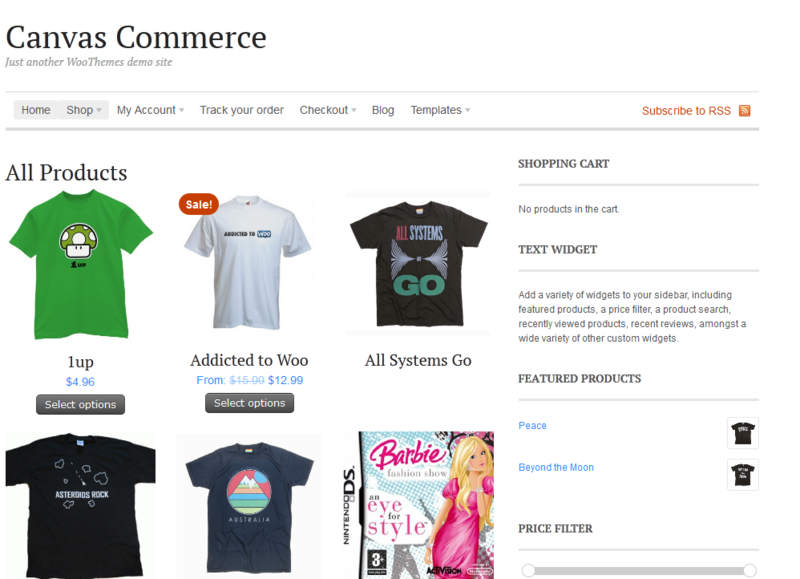 Canvas WooCommerce: this child theme optimizes the Canvas theme for WooCommerce. Canvas is a beautiful, clean theme for blogs and content sites. 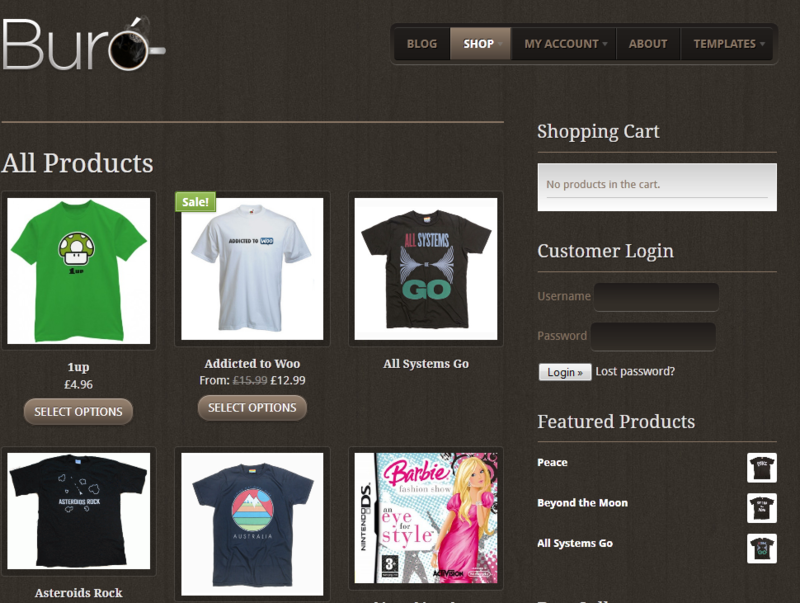 Buro WooCommerce: Buro is developed by WooThemes designers and is Woo Approved. Great for businesses with side e-commerce operations. 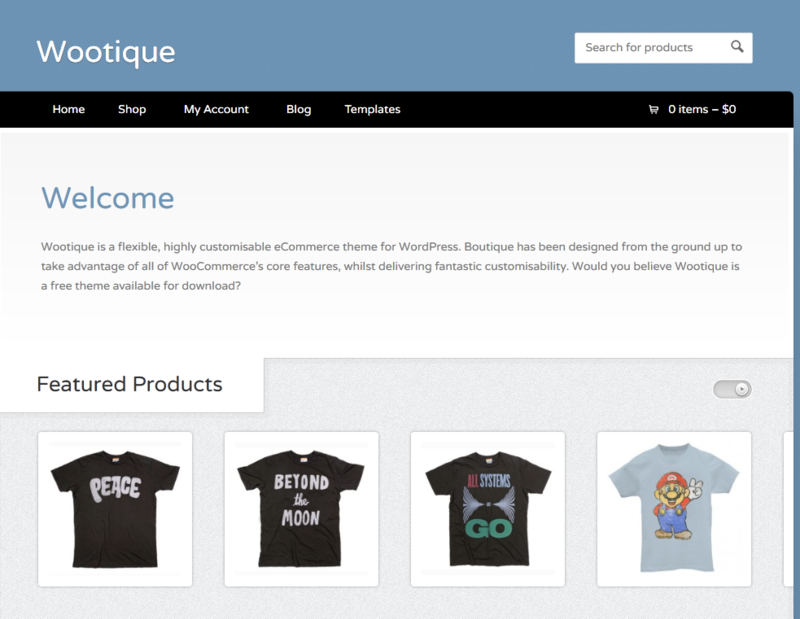 Wootique: this list would not be complete without a free WooCommerce theme. Wootique is highly customizable and offers multiple custom widgets. 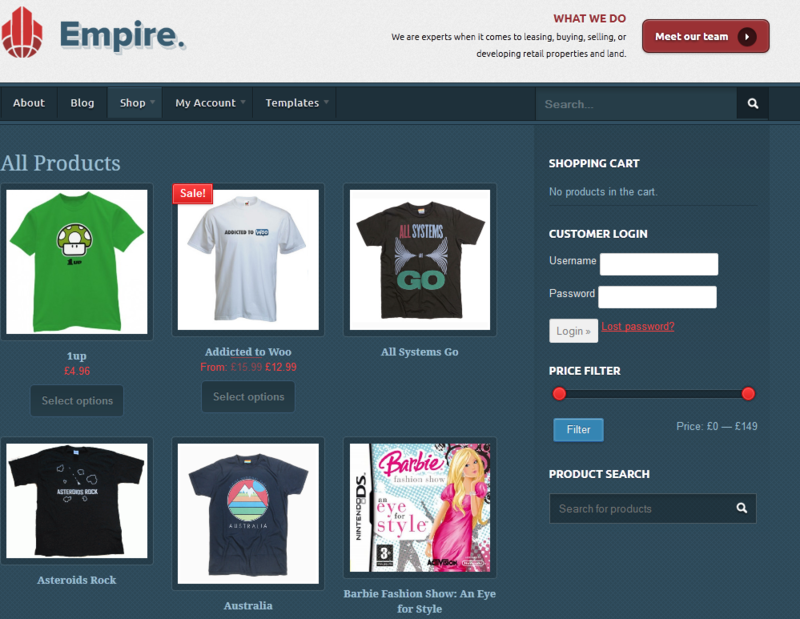 Empire for WordPress: another elegant WooCommerce theme. You get a sidebar manager, built-in SEO, and backend options. Which one of these themes do you like the most?